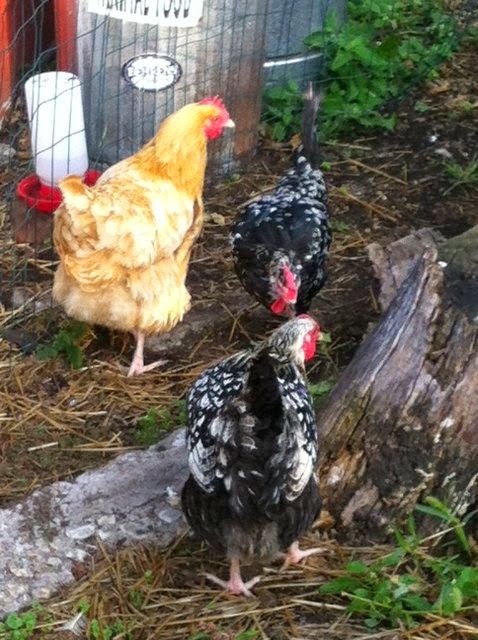 East Village Association | West Town Chicago: Visit city chickens! This is the 5th year of the Windy City Coop Tour, a free, self-guided event featuring 29 coops in the backyards of Chicago and some suburban locales. The tour runs this Saturday and Sunday, September 20 and 21, but on Saturday only, from 10 a.m. to 2 p.m., you can visit chickens in our own ‘hood, at the Farmessori at 1110 N Wood Street. The Farmessori flock just added three new members: a Buff Orpington, a Silver Laced Wyandotte, and an Exchequer Leghorn; in addition to the fabulous Polish Crested hens. If you’re not a chicken enthusiast, and haven’t visited the Farmessori, it’s worth the trip to see the garden. Farmer Joe Phillips and students and families from the Near North Montessori School will be on hand to welcome you. I can attest to that! Visiting the chickens never fails to put a smile on my face. The Farmessori chickens are cared for by a crew of volunteers, of which I am one. It's a great example of the "it takes a village" concept. Check it out! Quotes from the press release published on the web as 2014 Windy City Coop Tour PR.